On June 23, 2016, in a referendum dubbed “Brexit” voters in the United Kingdom (UK) opted to leave the European Union (EU), sending economic and political shockwaves around the globe. Obviously, the actual Brexit process will not be taking place immediately. The UK must first formally notify the EU of its intention to leave the Union in order to begin a two-year negotiation period for ratifying the terms of the UK’s withdrawal. After the vote, a number of enterprising souls sought to trademark the term “Brexit” for a variety of goods and services. But where should they seek trademark registration? The very thing they seek to trademark may have significant impacts on intellectual property rights in both the EU and the UK, including patents, industrial designs, and trademarks. 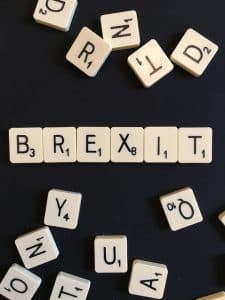 Although the precise details of the impact of Brexit on intellectual property rights won’t fully be known until exit negotiations are complete, trademark owners should consider and prepare for the potential effects. Is your intellectual property affected? One of the benefits of the EU system is a member-wide trademark registration known as an EU trademark (until recently, known as a community trademark or CTM) providing rights in all member states. Before the EU trademark system, trademark rights were protected only on an individual country basis with so-called “national” registrations. The EU trademark system exists as a complement to the national registration regime; it did not replace the national registrations. Unsurprisingly, however, brand owners across the globe have taken advantage of this ability to protect the entire EU with just a single trademark application. Once the UK is officially no longer a member of the EU, any existing EU registrations will no longer extend protection to the UK, unless the parties agree otherwise. As such, brand owners could be left without trademark protection in the UK if they do not own corresponding UK national registrations. While it is likely that the UK will seek to implement procedures to convert existing EU trademarks to UK national registrations without loss of priority, trademark owners should be prepared for the potential loss of protection in the UK. Conversely, if a EU registration is solely based upon the use of the mark in the UK, that registration will be subject to cancellation. Due to the effect on trademarks, any agreements involving trademark rights in the EU and UK are potentially impacted. Any existing or new license agreements that include the EU or UK should be reviewed for possible Brexit implications. For example, does the agreement define the EU as it existed at a certain point in time, or as constituted occasionally? Amendments may be necessary to ensure UK coverage. Join Jennifer Atkins and Kandis Koustenis as they discuss steps businesses can take now to prepare for the UK’s eventual exit, including trademark audits and systematic contract reviews. Previous PostDoes Your Business Comply with the New Federal Trade Secret Law? Next PostMusic & Politics Don’t Mix – Or Do They? You’ve Been Served… On LinkedIn!